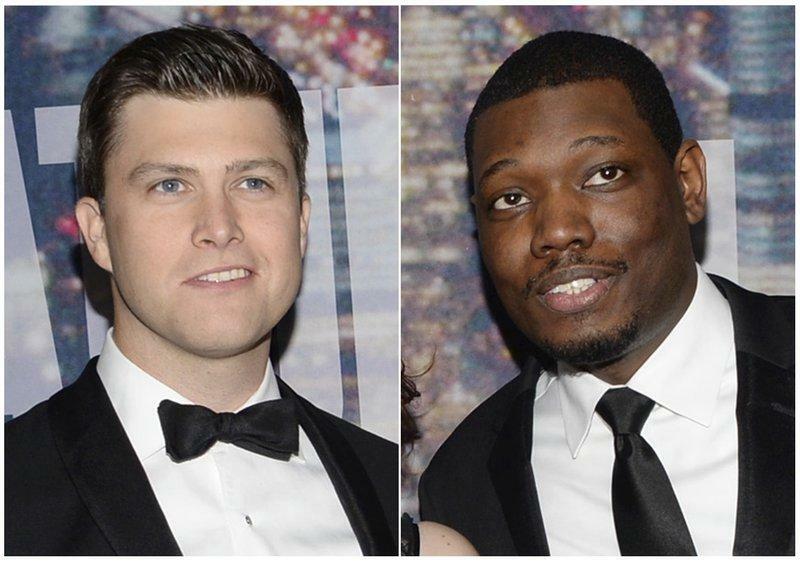 LOS ANGELES — NBC has announced that Michael Che and Colin Jost of "Saturday Night Live" will co-host this year's Emmy Awards. Che and Jost anchor the "Weekend Update" segment of "Saturday Night Live" and are head writers on the long-running sketch show. The Emmy ceremony rotates from the major broadcast networks, allowing them to use the host's job to highlight a show or performers. "SNL" has enjoyed a ratings resurgence with its sharp-edged jabs at President Donald Trump and his administration. Alumni of the late-night show have hosted the Emmys, including Jimmy Fallon and Seth Meyers. But the last current "SNL" cast member to serve as host was Eddie Murphy in 1983. The 70th prime-time Emmy Awards will air Sept. 17.